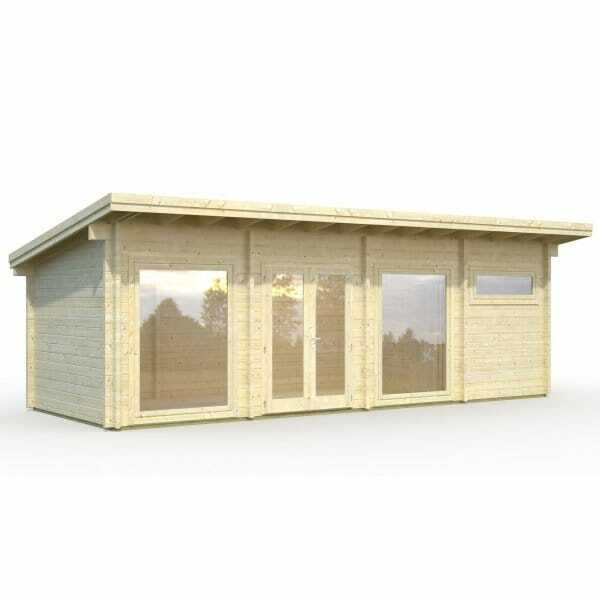 Palmako Heidi 22.8m/sq Log Cabin: The Palmako Heidi 22.8m/sq Log Cabin is an attractive multi room cabin with large double windows to the main room allowing the natural light to flood in. The smaller room has a highly positioned window for added privacy as it may be used as a bedroom or bathroom area. This large log cabin would suit a variety of different purposes whether it be an extension to the living space or used as a deluxe garden office with the addition of toilet or kitchen facilities.